Welcome to Bensalem, Pa. Bensalem is the largest municipality in Bucks county Pa. Bensalem Township was founded in 1692 which makes it almost as old as Pennsylvania itself which was founded in 1682. Bensalem's west side borders the northeast portion of Philadelphia and borders the rest of Bucks county on all other sides. The four major highways in the United States passes through Bensalem; I-95, U.S. Route No. 13 (Bristol Pike), U.S. Route No. 1 (the Lincoln Highway) and the Eastern Extension of the Pennsylvania Turnpike. You have easy access to all forms of public transportation. Bensalem is located near shopping malls, many shopping centers, wonderful restaurants and beautiful parks. The school district in Bensalem is Bensalem township school district. Parx Casino is also located in Bensalem. This is really a wonderful place to live. 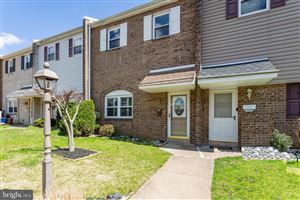 You will find links to search for homes in Bensalem, Pa on this page! The data relating to real estate for sale on this website appears in part through the BRIGHT Internet Data Exchange program, a voluntary cooperative exchange of property listing data between licensed real estate brokerage firms in which CENTURY 21 Veterans participates, and is provided by BRIGHT through a licensing agreement. The information provided by this website is for the personal, non-commercial use of consumers and may not be used for any purpose other than to identify prospective properties consumers may be interested in purchasing. Real estate listings held by brokerage firms other than CENTURY 21 Veterans are marked with the IDX icon and detailed information about each listing includes the name of the listing broker. Data last updated: Apr 19, 2019 11:57:pm.